OHRMA is privileged to serve the communities of Ocala and Marion County and has done so since the early 1990's; we are Marion County’s affiliate association for the Society of Human Resource Management. We welcome you regardless your years of experience in our profession. As you know, the HR world changes constantly, and we are your local resource for up-to-date information, as well as networking, professional development, and continued support of excellence in Human Resources. Please join us at one of our monthly meetings and use our website to find valuable information for your profession. We update our site frequently, so check back often. Please feel free to reach out to me or any member of Chapter Leadership with questions or feedback. We welcome you to become part of our organziation and look forward to your active participation in events. 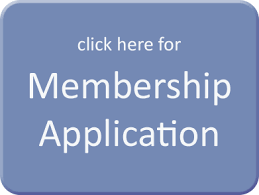 We would appreciate your membership and if you’d like to join OHRMA, please click here for a membership application. Thanks again for your visit and we look forward to seeing you at our upcoming events! The Ocala Human Resource Management Association (OHRMA) has been organized to support human resource professionals by providing quality programs, networking resources and career development opportunities to assist our community. The Ocala Human Resource Management Association is a nonprofit organization of human resource professionals from the Marion County community. Affiliated with the Society for Human Resource Management, an international organization of more than 180,000, OHRMA provides the information you need to make today’s decisions and to formulate and implement effective Human Resource Management programs. You are given a variety of sources to solve your problems, and the opportunity to exchange ideas and share concerns with your professional peers. OHRMA helps you expand your professional competence, keeps you informed of federal and state legislative actions, and maintains your standards of excellence in the Human Resource Management field. Membership on both the local and national level gives you full access to a wealth of services and programs that can broaden your skills and make you more valuable to your organization. You will also be part of the largest professional organization in the world dedicated exclusively to the advancement of the human resource management profession. Please click here OHRMA Membership Application or click below.